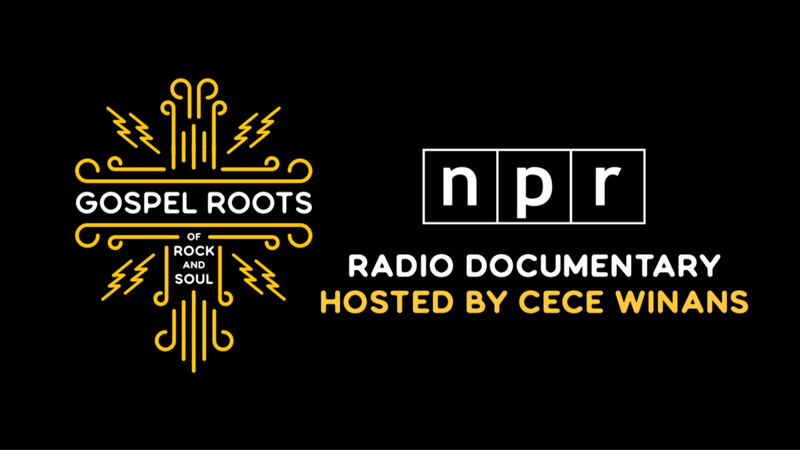 This month, WFUV will broadcast a new radio documentary produced by our friends at WXPN in Philadelphia and hosted by CeCe Winans, which explores the history of black gospel music and illustrates its significant influence on the formation of rock and soul music. Gospel Roots of Rock and Soul will air on FUV twice a week in February: Sundays at 5 p.m. and Mondays at 8 p.m. (EST). Through in-depth interviews with artists and dozens of songs (including many archival selections), the four-hour documentary illuminates the profound impact that gospel music has made on popular music. It is the culmination of WXPN’s year-long project of the same name, that featured prominent gospel and contemporary music artists, historians, and experts contributing their research and insights to a media-rich website, and a series of sold-out gospel music concerts, film screenings, and panel discussions. The project and radio documentary are supported by a grant from The Pew Center for Arts & Heritage. Executive producers of Gospel Roots of Rock and Soul are WXPN General Manager Roger LaMay and WXPN Assistant General Manager for Programming Bruce Warren. It is distributed by NPR and produced by Alex Lewis, an award-winning independent radio producer and musician whose projects include Going Black: The Legacy of Philly Soul Radio, among others. For more information about Gospel Roots of Rock and Soul, visit xpngospelroots.org. Part 1: Sunday, February 3 at 5 p.m. and Monday, February 4 at 8 p.m.
Part 2: Sunday, February 10 at 5 p.m. and Monday, February 11 at 8 p.m.
Part 3: Sunday, February 17 at 5 p.m. and Monday, February 18 at 8 p.m.
Part 4: Sunday, February 24 at 5 p.m. and Monday, February 25 at 8 p.m.